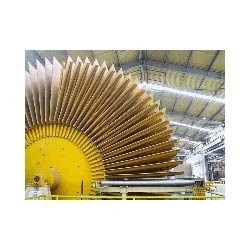 We offer our clients with a comprehensive range of AutomaticParticleBoardProductionLine(PBLine). Our range makes best use of waste wood and is environment-friendly as well as reasonably priced. These are considered as an efficient way to make the best use of forestry resources and agricultural wastes since the forestry resources getting less and more expensive. Our range consists of series of advanced machines and equipment, which make the best use of logs, branches, waste wood, bamboo, stalk, straw, and other wood or non-wood fiber to produce quality particle boards, MDF, HDF, block boards, and laminated wood boards. Our clients can avail from us a qualitative range of MDFProductionLine. These are known for making best use of waste wood and being eco-friendly in nature. Our range includes a series of advanced machines and equipment, which make the best use of logs, branches, waste wood, bamboo, stalk, straw, and other wood or non-wood fiber. These are ideal for manufacturing particle boards, MDF, HDF, block boards, and laminated wood boards. 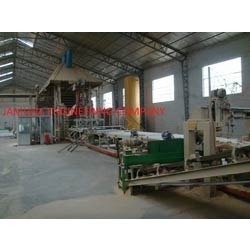 Looking for “Particle Board Production Line”?